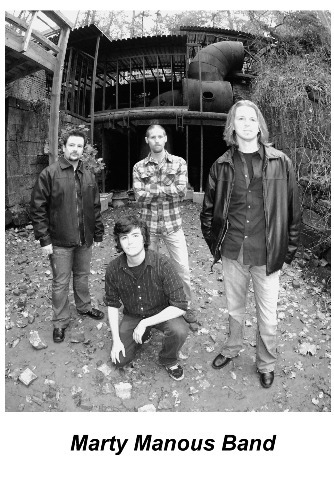 "Featuring new Lead Singer Josh Rieff"
Started playing guitar at age 14, drawing influences from blues, fusion and rock greats. By 16 he was gigging around Atlanta and gaining recognition for his signature style. A recent graduate of the Atlanta Institute of Music, Marty has studied alongside great players including Nite Driscol, Bill Hart, Steve Cunningham and Jimmy Herring. Taken under the wing of Carl Culpepper, he started to explore different genres of music and developing his guitar approach even further. Doing studio work around town, Marty has even done sessions for and with Grand Funk/Ted Nugent producer Cliff Davies and played gigs on the east coast with his rock/ fusion project. Currently, Marty is teaching music privately at Fret Not Music center where he is Head of the lesson department. Working on an instructional book, and doing what he loves most: gigging and recording with his original project and studying music. This past Saturday Irish Rockers, The Answer, played the Hard Rock Café in Atlanta. The opening acts were Saturn 5, Soulbread and The Marty Manous Band. The Marty Manous Band. For me the Rock/Blues band was the surprise of the night. Before the show started I had never even heard of them, but they are clearly one of the more talented bands coming out of Atlanta. The band consists of Guitarist Marty Manous, Vocalist Josh Rieff, Drummer Cody King and Bassist Gage Gilmore. I personally have never been a huge blues fan, but blues fan or not, you cant help but to be impressed by vocalist Josh Rieff. Its obvious that Rieffs intense love for music is the attributing factor to the soulful, passionate delivery of each and every word he sings. Ive also never been one for long guitar solos, unless you count Freebird and Hotel California, but Marty Manous has a gift that deserves to be showcased. 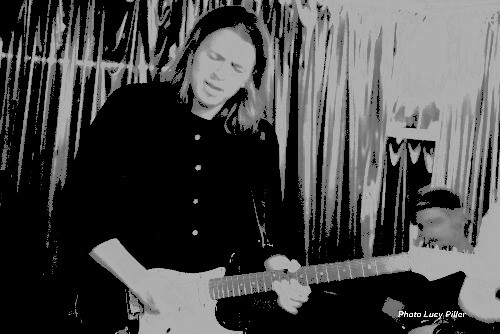 His intricate guitar work was a mix of blues, classical and rock music and the crowd loved every minute of it. I definitely recommend that you check out the The Marty Manous Band, you wont be disappointed. Marty Manous takes you on a tour through Silver Tree Studios to show you the rig that made it all happen.